A portable generator can seem like a lifesaver during a power outage for powering home medical equipment, refrigerators/freezers, and water pumps. Safe use protects you and those restoring power. Always read and follow the manufacturer’s instructions before running the generator and the maintenance schedule after use to keep it in peak performance and operating safely. Never use a generator inside your home, garage, basement, or any enclosed area. Generators give off carbon monoxide. Fatal fumes can build up and neither an open window nor a fan can provide enough fresh air. Use battery-operated carbon monoxide detectors inside your home near where the generator is running as fumes can be pulled inside. Generators often run on gasoline, and fumes can start fires. Wait at least 2 to 5 minutes for your generator to cool before adding fresh gasoline. Have a charged fire extinguisher nearby. Add fuel stabilizer if you won’t be using the generator for more than 30 days. Never plug your generator directly into electrical wiring. This can energize power lines and endanger line workers. Have a qualified electrician install a power transfer switch. Protect your generator from exposure to wet conditions such as rain, snow, or sprinklers, as high voltage and water don’t mix. Never use near flammable materials and never place anything on or under the generator. Keep the area clean and empty. Never let children or pets near the generator or extension cords.  The Energy Cooperative offers Generlink™ to all of our electric members. This is a safe and simple way to connect your portable generator during a power outage. Contact member service at (800) 255-6815 to learn more about this safe option.